Being able to use the Distribution Manager function is very helpful. This allows us to pull together financial statements for multiple companies, while simultaneously removing the Spreadsheet Server function. The ability to pull data directly from ERP systems into a spreadsheet, allowing the data to be easily viewed and managed. The ability to use the distribution manager in order to present data without Spreadsheet Server functions. Sometimes support can be a bit off and challenging to get by phone. Some of the reporting tools are not as robust as some competing products. Vendor training costs can be high if needed by an organization. I would like to see the ability to pull data across different fiscal years using one formula. Very easy to use and user friendly. I enjoy using this software after six years of use. I would not implement without the help of a reseller. Many competing products may not offer some of the comprehensive all-in-one type solutions that are found in Abila MIP Fund. Non-profits can have particulate needs such as specialized taxation, funding, and membership support not always address in other commercial oriented products. Often non-profit organizations may piece together separate applications that can be found in Abila MIP Fund and this product can help save a great deal of time and money. Spreadsheet Server is easier to get started and more user friendly. It seems to be better for our size business. Not real sure what you mean by scalability. It seems to be able to handle all of the funds we are currently working with. If you mean the looks of it, some things are small and it would be nice to increase the size according to the user. Having MIP Advance has allowed us to focus on our work and not worry about system and payroll updates and back-ups. That has been a tremendous relief and allowed us more time to be efficient in our processes. 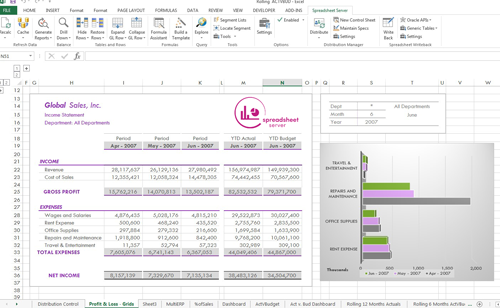 The use of spreadsheet server allows the finance/accounting staff to work much more efficiently. Prices can be different for any company interested in Spreadsheet Server depending on size and who should be involved. 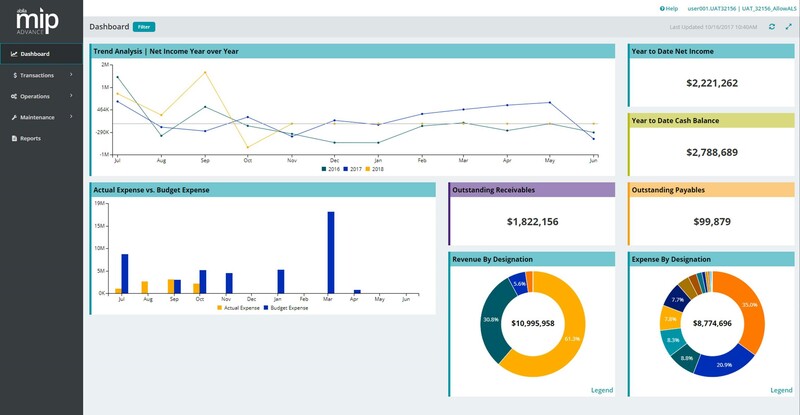 Feel free to contact us for a free demo to see if it is the right reporting tool for you.